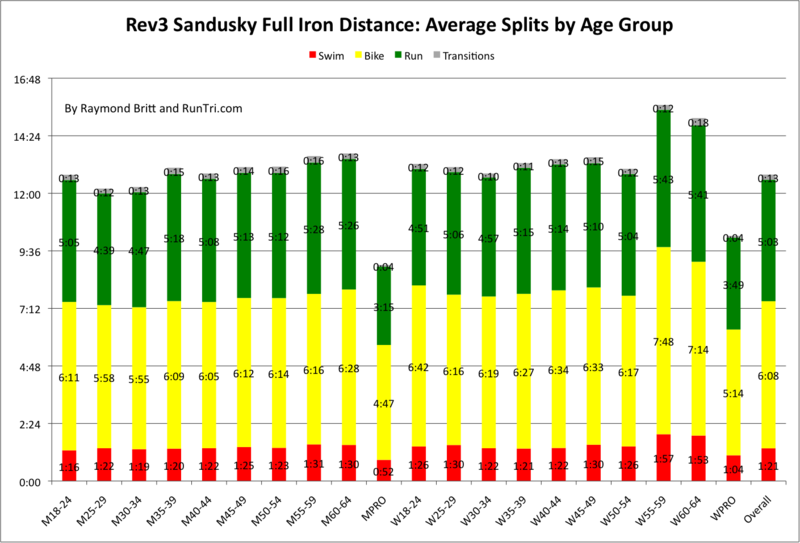 Nearly 400 triathletes completed the 2011 Rev3 full ironman distance event in Sandusky, Ohio, in an average time of 12:46. With this overall finish time, Rev3 ranks about average in RunTri's Toughest/Easiest Ironman Triathlon rankings. 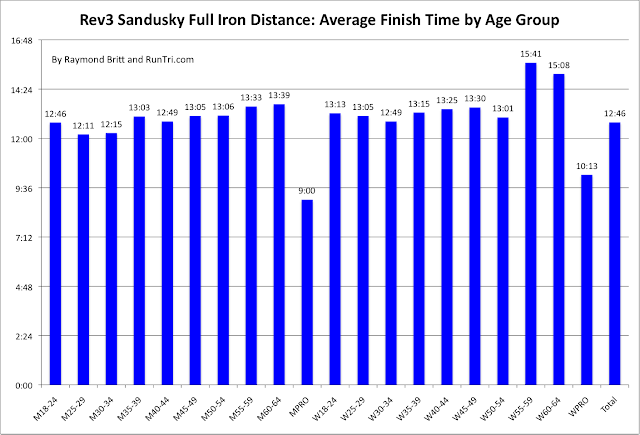 Here are the details by Age Group.